Orange juice tastes best when fresh. Blend it or prepare it with a simple hand juicer, either way, it doesn’t take much time, albeit a little effort is required. One glass of this sweet tangy juice provides an ample amount of vitamin C to boost your immunity and keep you healthy. So, what are you waiting for? Let’s start juicing! 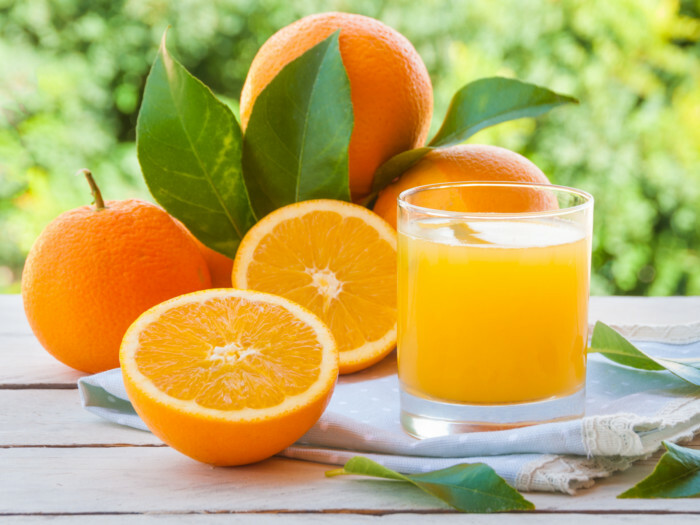 To prepare orange juice, first, roll each orange on the table using your palms, then tightly squeeze it using both hands until it becomes soft. 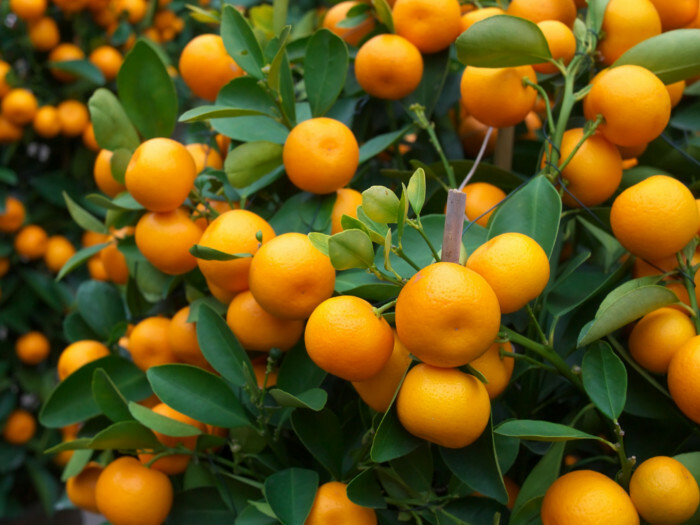 Cut the orange into two halves and remove the seeds, if any. 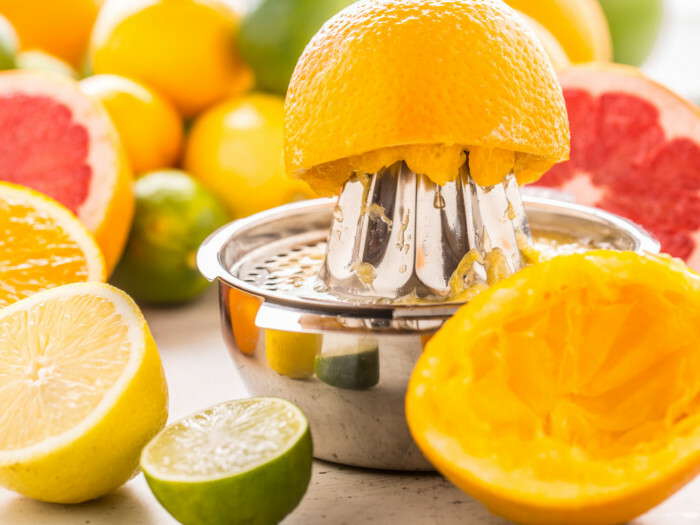 Put one half of an orange on the hand juicer and squeeze it until all the juice is out. Repeat the above step until the juice from all the oranges is squeezed. 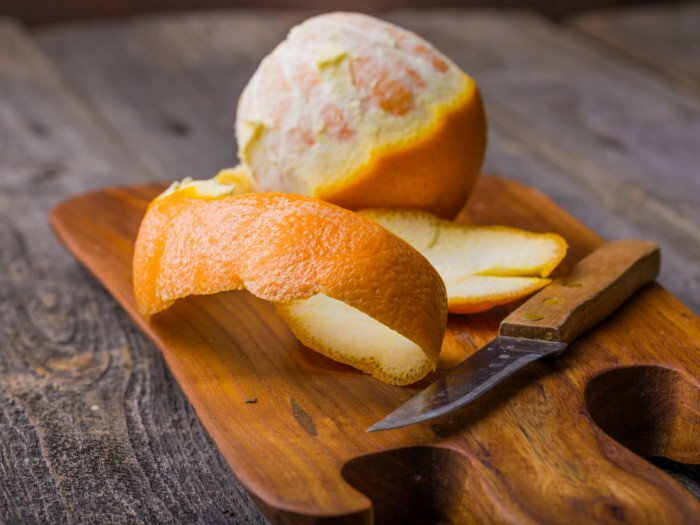 You may strain the collected juice using a strainer or skip the straining and add some pulp from the orange to it. Pour it in a glass filled with ice cubes, add a pinch of pink salt, stir well, and enjoy your tangy drink! Peel the oranges and cut them into small pieces of about an inch each. Remove all the seeds, if any. Put all the orange pieces into the blender and blend until pureed. Add a cup of water and blend it again to remove all the juice completely. Strain the juice using a strainer and add a pinch of salt to it. Refrigerate or pour over ice cubes and serve chilled. If you taste the juice and find it to be bitter, feel free to add any sweetener to adjust the taste. 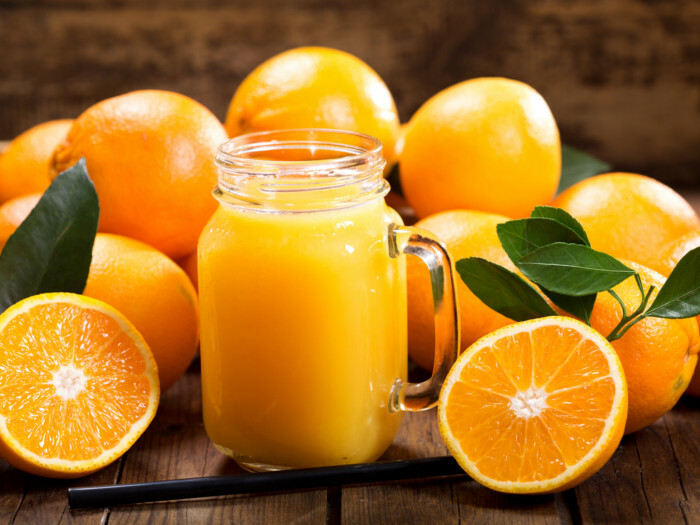 A freshly squeezed orange juice that hasn’t been processed will only be good for 3-4 days in the refrigerator. Orange juice that has been processed and opened will be good for 5-7 days in the fridge. If you have tried this recipe, we would love your feedback in the comments section below. And while we can’t taste it, we would love to see how it turned out! You can connect with us on Facebook or Instagram and tag your picture with #organicfactsrecipes. Do you wish to share your winning recipes with us? Please click here and fill in the details to get started. An alumnus of St. Xavier’s College, Mumbai, Komal is a quirky writer. She loves to add a touch of creativity to everything she does. She has a diverse background in teaching biology, working as an analyst, and freelancing as a content writer. There are only two ways she can express herself, first is words and second is dance.